L’Eau is a case of “It does exactly what it says on the tin” perfumery. It is a light, airy laundry musk with a surprising degree of tenacity and presence. It opens with a huge slug of aldehydes, but rather than shimmering or sparking as aldehydes so often do, instead they emanate a blinding white light akin to the gleam achieved when white cotton sheets drying in the sun catch the midday light. A few drops of lemon are used in an almost undetectable way, their purpose is simply to emphasis the overall sense of ‘clean’. What I find most pleasing about L’Eau is the wonderfully creamy white floral accord set smack bang in the heart. I’m a sucker for a wonderfully creamy white floral accord and in L’Eau it is reminiscent of the snowy flowers of the beautiful gem that is Estée Lauder’s Pleasures. As you would expect, the majority of the cleanliness in L’Eau comes from a great big, stonking white musk. White musk has a tendency to smell cheap and caustic at high volume, but in L’Eau all of the kinks and rough edges to the musk have been painstakingly worked out until it is beautifully smooth and well rounded. Despite having been smoothed out the musk never feels over-worked and the fact that, after an hour or so, it is all that remains on the skin doesn’t bother you for one minute. L’Eau is an anti-perfume in two ways, firstly; it is a perfume designed for those who don’t want to wear perfume and just want to smell fresh and clean, secondly; it is the antithesis of all that is ‘Serge Lutens’, but it’s still of incredibly high quality and it wipes the floor with the many harsh and abrasive ‘clean’ perfumes that flood the market. Try this if you want to smell clean AND luxurious. L’Eau Froide is an unusual beast. It is clear from the outset that it is the distant cousin of L’Eau rather than an immediate relative. It takes the idea of the pure, clean quality of L’Eau down to the cold depths, where words like ‘clean’ and ‘pure’ are irrelevant. The ice cold water that L’Eau Froide is supposed to represent is attributed to the use of incense from Somalia. The incense is, unsurprisingly, ice cold and incredibly austere, its menthol aspects are emphasised by mint and rosemary. It strikes the precise balance between menthol sweetness and a dry herbal quality that makes for a composition that is as severe as it is soft. As L’Eau Froide develops it becomes more astringent and earthy thanks to the addition of vetiver. The dry down utilises a much softer and quieter musk than that used for L’Eau, and it doesn’t give a feeling of ‘clean’ or ‘pure’, instead it leaves the impression of something sparse, alien and cold. L’Eau Froide is linear, unusual and very Lutensien. L’Eau, despite its high quality, does feel slightly alien within the Lutens collection, but L’Eau Froide shares that sombre quality of other Lutens perfumes such as Gris Clair and Iris Silver Mist. The startling thing about L’Eau Froide is that it isn’t evocative of cold water, instead it is evocative of a dry, arid landscape where the sky, earth and bare trees are all a pale shade of grey. It speaks of loneliness, silence and sorrow. L’Eau and L’Eau Froide are available in 50ml and 100ml Eau de Parfum with prices ranging from £58-£85.79. 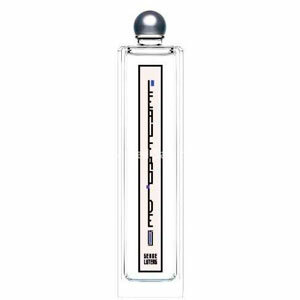 They are both available through the Serge Lutens Website. 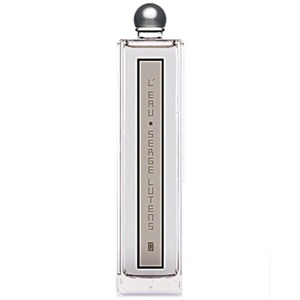 This review is based on samples of L’Eau and L’Eau Froide supplied by Serge Lutens. All links are for information purposes only and I am not affiliated with any third parties. Posted in Aldehydic, Citrus, Incense, Musk, Perfume Reviews, Serge Lutens, Unisex and tagged Aldehydic, Citrus, Clean, Incense, L'Eau, L'Eau Froide, Serge Lutens, Unisex. Bookmark the permalink. For me you’ve hit the nail on the head! Great reviews! 😀 It’s a shame that it is the least likely Serge Lutens catchphrase but ho hum! L’Eau Froide is much more Lutenesque than L’Eau so do give it a go if you see it. Chuckling at your reference to the way L’Eau Froide “wipes the floor” with mainstream clean scents! I definitely have my moments when a perfume speaking of “loneliness, silence and sorrow” might be just the ticket. My one venture into laundry musk territory was my purchase of L’Artisan L’Ete en Douce (an arch albatross in my fridge), but it was waaaay too musky at the expense of everything else. I am well and truly intrigued to try this one now. However, he original L’Eau by SL only had joke value for me! Hehe – It seemed very fitting! I am fascinated to try the L’Eau Froide – but is it your only sample? I would gladly send it back afterwards if so. I don’t have one on the way, not that I know of! I’ve requested my sample of L’Eau Froide but didn’t feel much interest until I read your review. I like the sound of the quiet, chilly incense. I think of SL as a mischievious imp! He is a mischievous imp, that’s so true! I’ll be intrigued to see what you think of L’Eau Froide when your sample arrives. Feel no shame for not trying the others, it took me a very long time to ‘get’ Serge Lutens. It’s an odd, but wonderful line. I don’t think so, I would be more likely to buy L’Eau than I would L’Eau Froide. Agreed. It doesn’t evolve much. And I admit that I’m not that big a fan of “clean” scents… or “dry and austere” scents, either, for that matter. If a sample comes my way I’ll try it with an open mind, thanks to your clearheaded reviews here. Tarleisio’s review of L’Eau Froide was a joy, too. I was nonplussed by the whole “OH NO UNCLE SERGE IS SELLING OUT” pandemonium when L’Eau was released. The guy puts out such straaaaange fragrances, why *wouldn’t* he have a sense of humor? Why *wouldn’t* he do something off the wall just to prove that he could? Exactly. He has always been one to do the unexpected and L’Eau was no exception. It’s also really good for a ‘clean’ scent. I had the lucky chance to win a sample of L’Eau Froide in a draw and have worn it twice: I can’t say it’s a fragrance in my chords (but Uncle Serge and I don’t get on very well, I’m afraid- except for Bornéo 1834), the aquatic sensation being too overwhelming on my skin. Anyway, I find its swampy- mouthwash opening accord rather interesting. I’m not sure I can detect incense, though! I think my experience of L’Eau Froide may have been the opposite to yours. I found the marine notes to be very understated. It’s funny how our experiences can vary so greatly isn’t it? I am dying, DYING to try L’Eau Froide, but L’Eau?! OH GOOD LORD. I have never cried as much as I did the first time I wore it. I have an adorable mini bottle of it that gathers dust somewhere. I just can’t wear it! It’s just not a Serge to me. It’s not Serge but it’s good for a clean laundry musk. Keeping bottles in the fridge during summer is a very good idea. I used to do that with my bottle of Mugler Cologne, I shall have to start again in the summer. I hate the heat! It’s interesting that we’ve had two very different takes on this one. Are you going to be getting a bottle? Unless something “cooler” comes along and steals the spotlight by summer ;), I might just. It’s so completely different from anything else I have in my wardrobe that I think I could do with one. (I’m always much thinner on the ground when it comes to “summery scents”). I used to be the same, but now I’ve built up a base of summer scents, mainly florals, that work really well during the hot months.